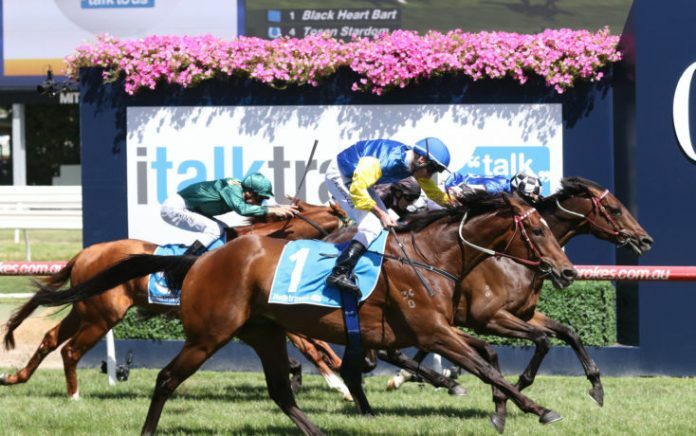 It’s the running of the Group 2 Blamey Stakes at Flemington this weekend, with a small field full of class and ability to contest for the crown. Conditions will be interesting – it’s set to be over thirty degrees with a strong north wind, so riders might want to duck in and get cover. Hellova Street should lead, and Rawiller will have to make the decision to go forward or back on Tosen Stardom. Odeon may well go forward too, while Humidor looks set to tuck in behind on the rail. Third up stepping to 1600m. Worked home nicely at Caulfield and looks ready to run to its best. Worked home okay first-up. Has the best overall figures in the race and ran well third-up last prep when unfancied. Best form is generally at 2000m though, and might just want one more run. Should lead easily and is racing at its peak. Has a solid record at 1600m, but just doesn’t have the class of top two here. Ran okay first-up without flattering. Produced peak last prep when third and fourth-up. Can improve off its first run but I think it’ll probably want one more run. Honest horse but in a different class here. Worked home nicely first-up and does have a pattern where it improves second up. Can run to its best here, but that still leaves it below the top two. Humidor does have the best figures, but I prefer Tosen Stardom just at the moment. In terms of the market, Radipole looks a bit over the odds.